← Do you ever get uncomfortable with your own comfort? This is a rather ambitious project. Good luck! 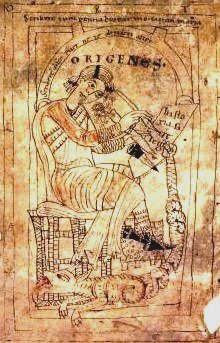 I hope you also discuss Origen’s anthropology because it’s really what makes the whole thing work for him (and the changes made by Evagrius). Also, you may consider looking into what Didymus the Blind says. My advisor (Dr. Byard Bennett, http://cornerstone.academia.edu/ByardBennett) did his Ph.D. work on Didymus and is currently working on publishing a fragment which he discovered that aptly summarizes this issue. If you want, I’ll let you know when and where he publishes his article (he hopes to get it in some Austrian journal if I remember correctly) as it may be helpful to your project. As I consider the ambition of this project, it may never actually be completed. I must confess that. However, I hope to make some headway, as my own research into monasticism and the spirituality of the Patristic age has highlighted how very important Origen and ‘Origenism’ are. If you could let me know when and where the article will be be published, that would be great! Didymus will also be involved in this, although I forgot to include him in this post alongside Evagrius. MJ: Yeah, Origen is for the East what Augustine is for the West. If you want some info on Patristic monasticism and spirituality, Dr. Bennett has his lecture notes on his other website, http://www.didymus.org/, under the courses tab, advanced seminars, prayer and spirituality in the Early Church.